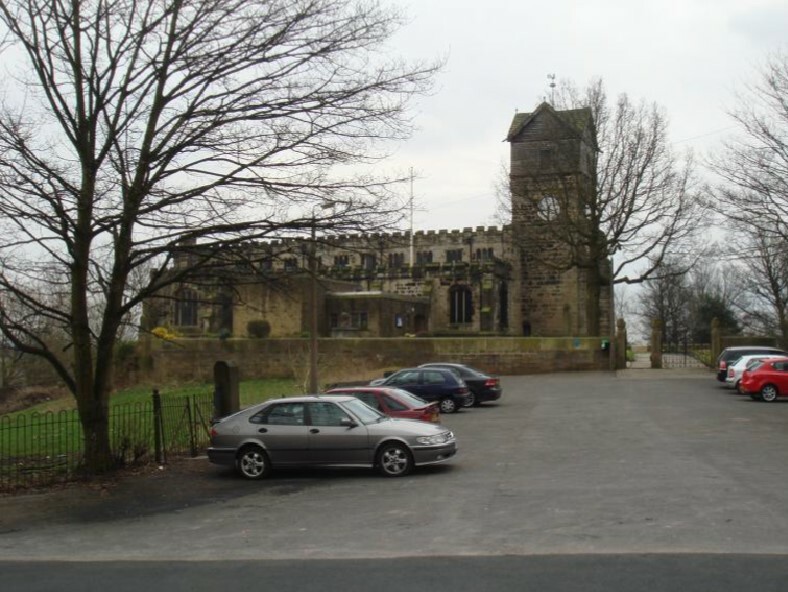 The parish church of St Leonard stands on elevated ground on the east side of Middleton (Ills. 5.4.6 & 12). A church is documented here in the early 13th century and possibly by c 1180. Incorporated within the present building are architectural fragments of the Norman period. 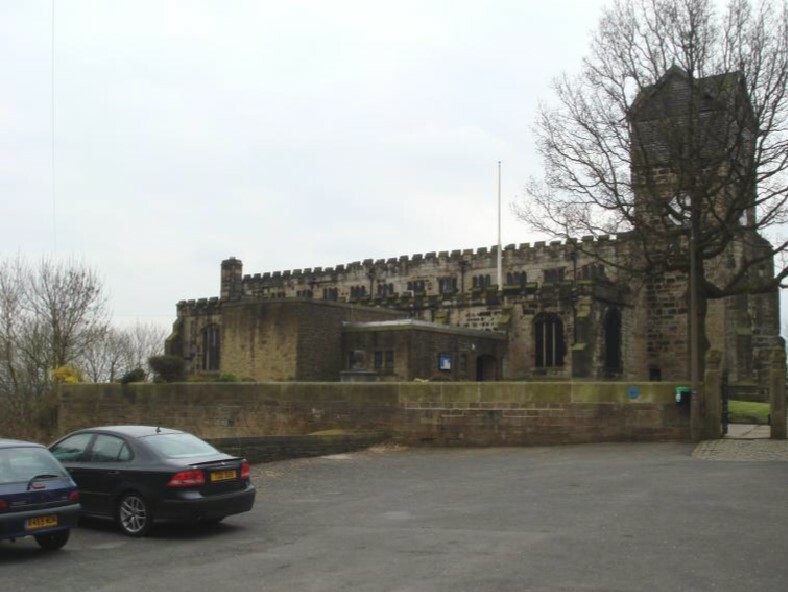 The church was rebuilt in 1412 by Cardinal Thomas Langley, Bishop of Durham and Chancellor of England, who was born in Middleton. 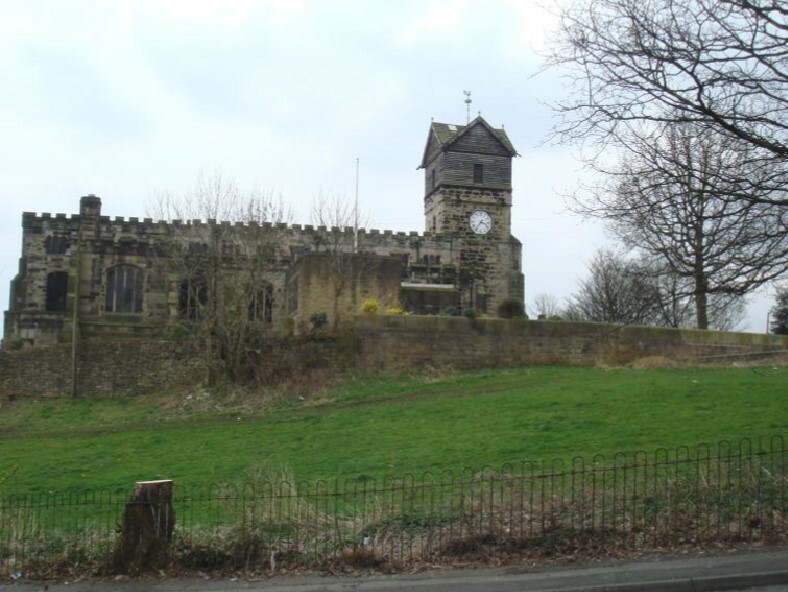 In 1524 Langley’s church seems to have been in turn rebuilt by Richard Assheton except for the tower and possibly the porch. There were later additions in the 17th, 18th and 19th centuries. 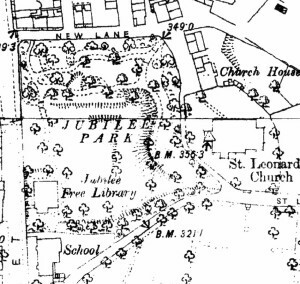 To the north of the churchyard the area known as St Leonard’s Square was formerly of narrower width but was extended following the demolition of buildings which stood on its east side and lay within the glebe, the land belonging to the church. The largest and most southerly of these is named on late 19th century OS mapping as Church House. It abutted the north side of the churchyard, whose present boundary line on this side is unchanged from the 18th century (Ills. 5.4.2-3), although as recorded by a surviving inscription this section of the churchyard wall was rebuilt in 1890. The oldest known building on the site of Church House was an alehouse known as the Grapes. It was open for business by 1748 when Joseph Welling was the alehouse-keeper. He was followed as landlord by his son, Joseph Wellens, remained until about 1792.3 The establishment was later remembered in the memoirs of the radical Samuel Bamford, himself a native of Middleton. 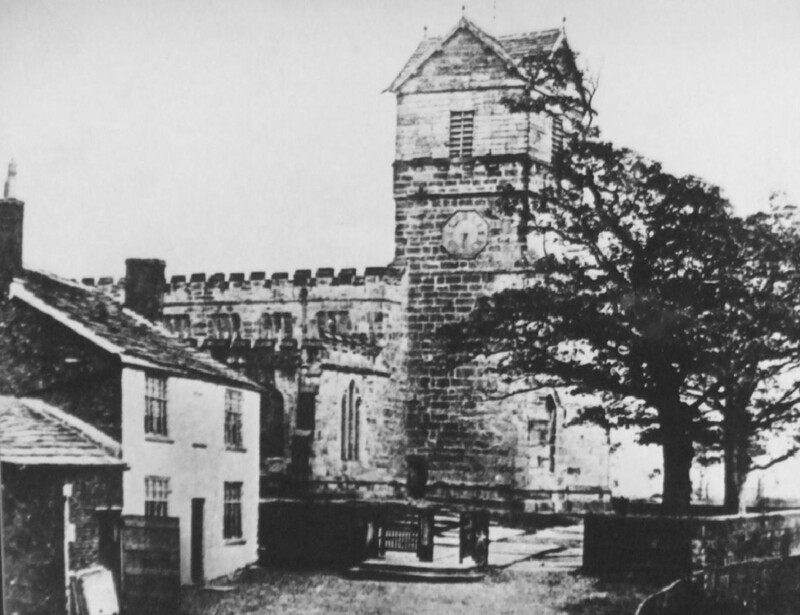 From Bamford’s evidence it is clear that the original building on this site was timber-framed. 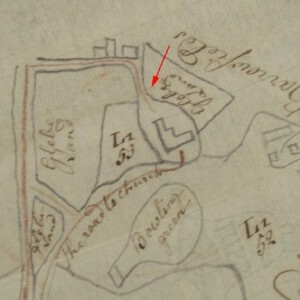 It is likely therefore to have been one of eleven houses listed in the Middleton glebe in the 1660s in addition to the rectory, a substantial building which faced the church from the western side of Long Street (Table 5.4.1). After the time of Joseph’s Welling the younger, the Grapes continued as a public house until about 1847. Precisely when the old timber-framed building was pulled down is unknown but this was replaced by a two-storey building with a symmetrical façade with a central doorway (Ill. 5.4.7). 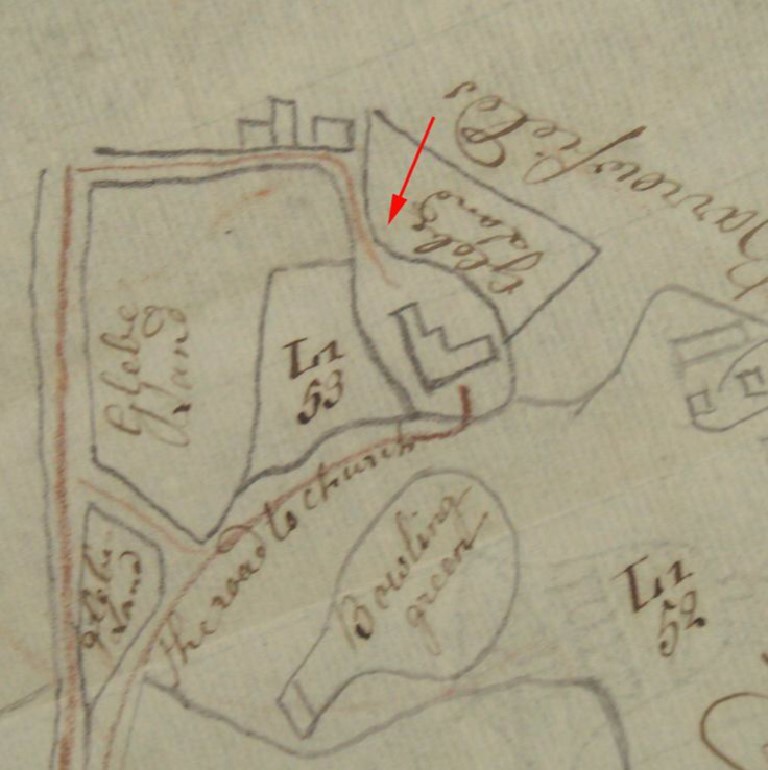 This later building is recognizable on the Middleton tithe map of 1837, at which date the tenant of the property was Thomas Kenyon.6 He may have been related to Samuel Kenyon who is listed here in the census of 1841 and who was the last known licensee. In 1847 possibly this same Samuel Kenyon was fined for selling beer during prohibited hours on a Sunday, which may have contributed in the pub’s closure. 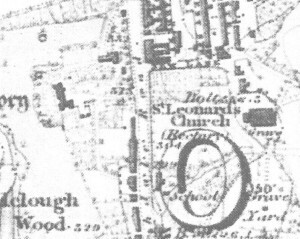 The rebuilt public house was adjoined on the north by a single-storey range, which is said to have served as the hearse house.8 There was a further detached range to the north. Like the house, these other buildings were in existence by 1837 and were also tenanted by Thomas Kenyon. 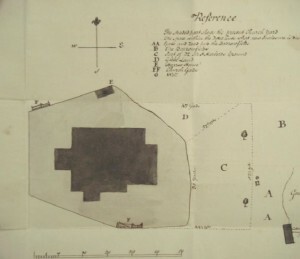 A plan of 1786 shows that there was an earlier hearse house situated within the churchyard and abutting the yard’s north wall, to the rear of the Grapes (Ill. 5.4.3). During its life as the Grapes, the building is said to have doubled as a farmhouse. 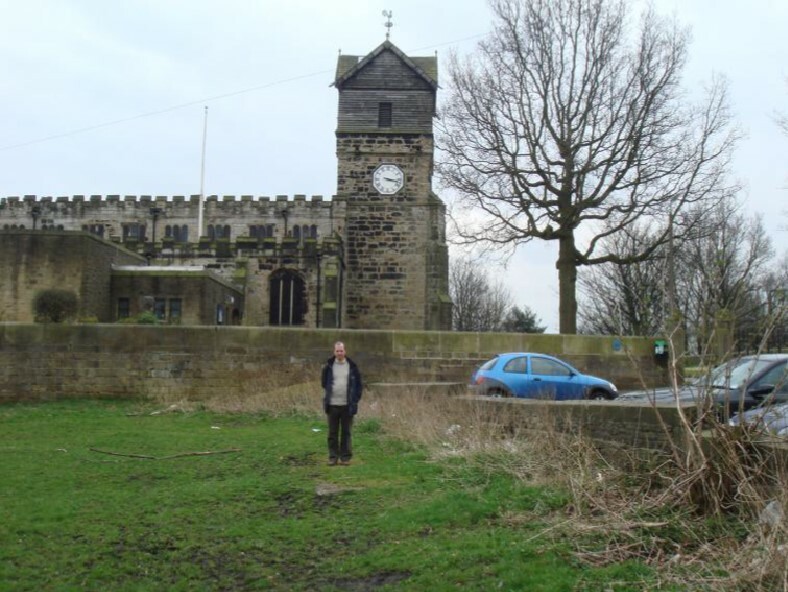 This is supported by the tithe award which shows that the tenant in 1839, Thomas Kenyon, also held over 30 acres of land comprising a block of eight fields on the western side of the town. 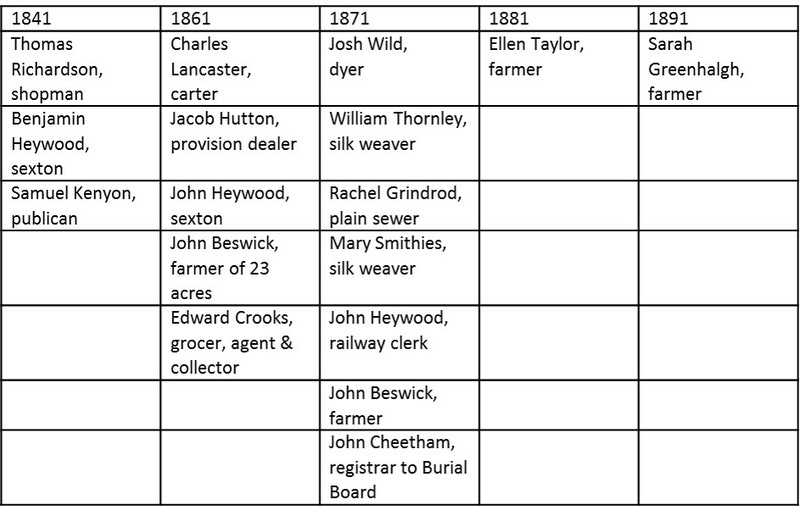 Following the closure of the pub, census returns list a succession of farmers living in St Leonard’s Square, John Beswick in 1861 and 1871, Ellen Taylor in 1881 and Sarah Greenhalgh in 1891, all presumably at Church House (Table 5.4.2). In the late 19th century the site is also said to have been used as a farm by the Misses Hilton. 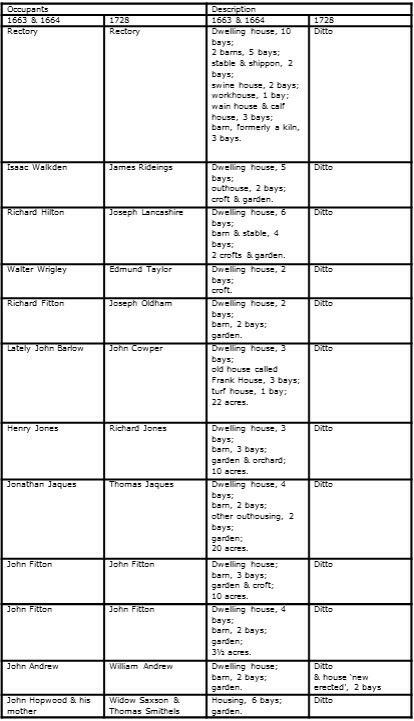 In addition to the publican at the Grapes and the later farmers, the censuses of 1841-1871 list other individuals as resident at St Leonard’s Square (Table. It is assumed that these were either shared the occupancy of the Grapes / Church House or occupied the detached building to the north. 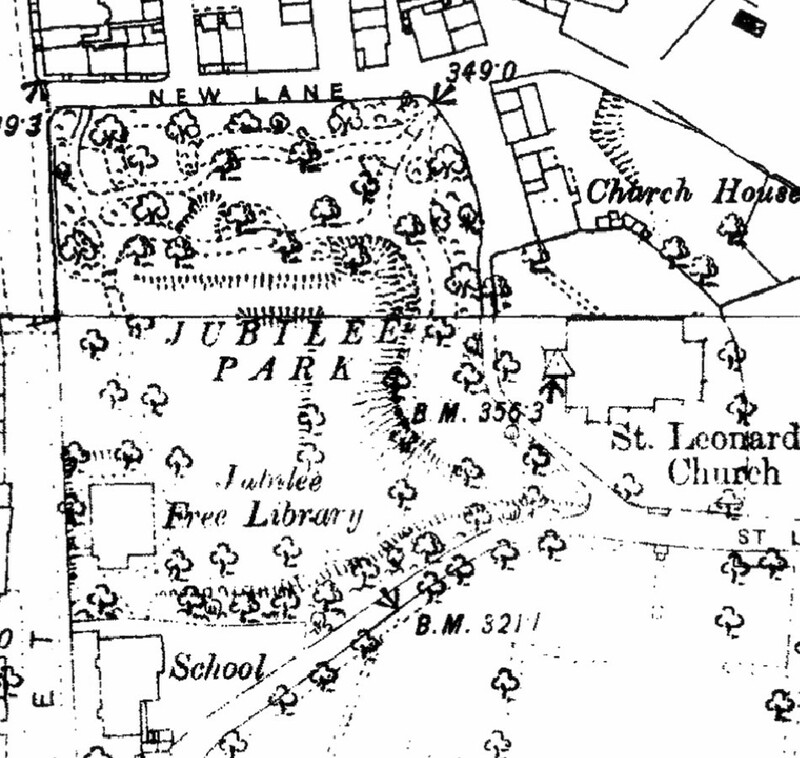 In 1999 a series of archaeological trenches were excavated around St Leonard’s Church, including one trench on the site of Church House. It revealed a cellar wall of handmade brick sat on a stone footing, which appeared to coincide with the rear of the building as shown on historic mapping (Ill. 5.4.13). 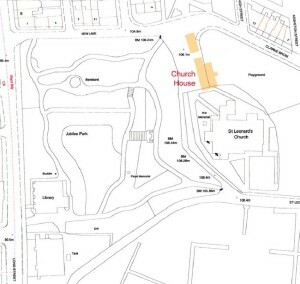 The site of Church House straddles the tarmaced St Leonard’s Square on the east and a grassed covered area on west, the two being separated by a stone-built wall. 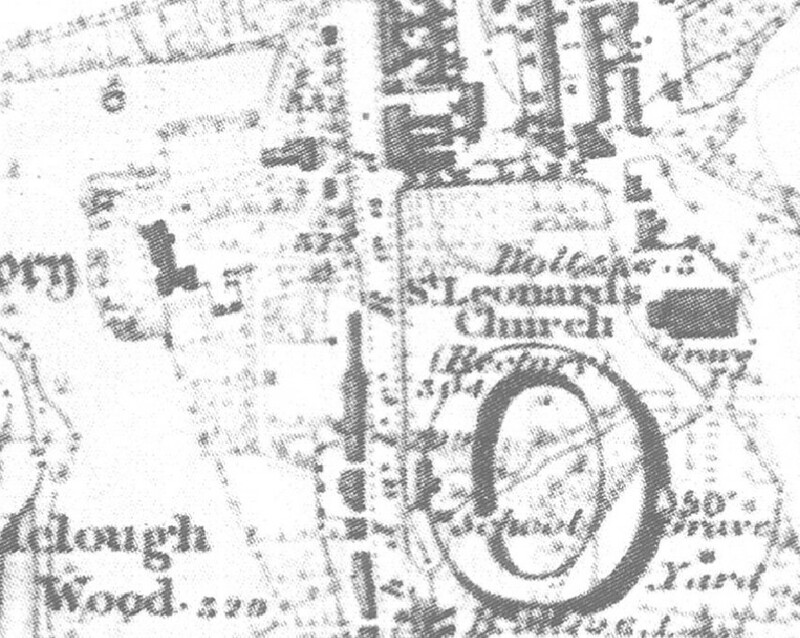 The site of the hearse house and the detached building to the north lie within St Leonard’s Square (Ills. 5.4.8-12). 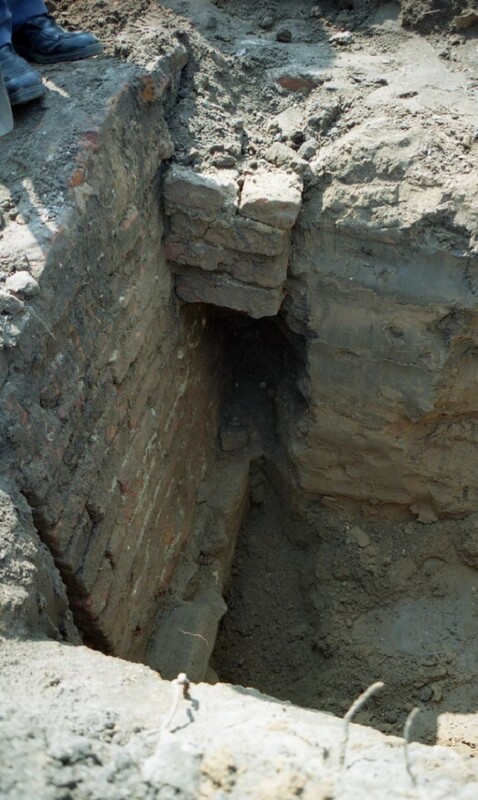 The trench excavated in 1999 revealed that below-ground remains associated with the Georgian Church House and showed that at least part of the building included cellarage. The full extent of this cellarage and the extent to which remains of the earlier timber-framed building on this site may also survive on the site are at present unknown. Evaluation by trial trenching would be required to gain a better understanding of the nature and extent of archaeological remains on the site of Church House and of the building to the north. 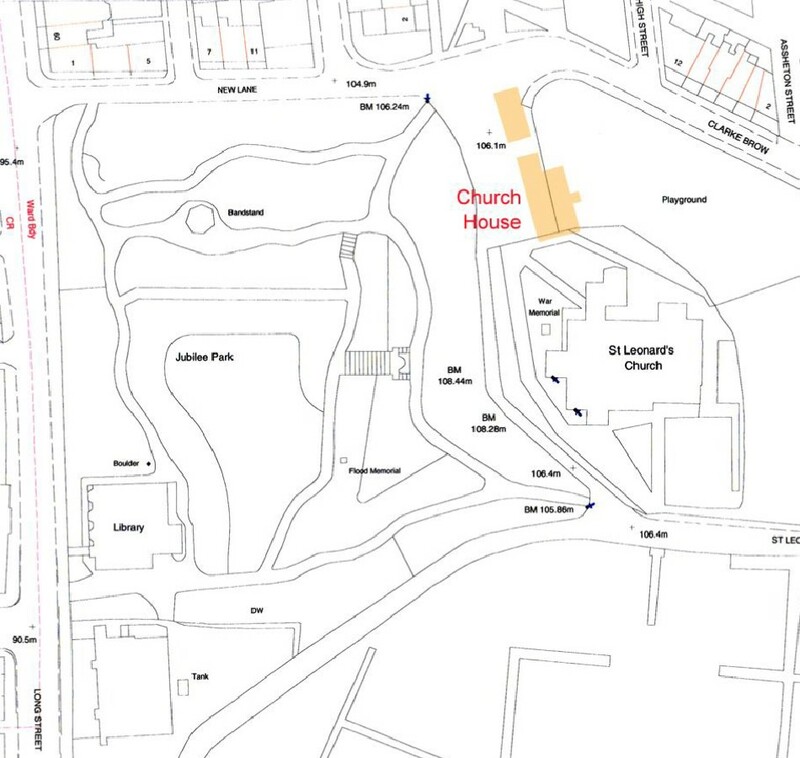 In the case of Church House in particular, the available area for excavation would be limited to a safe working distance from the present stone boundary wall on the east side of St Leonard’s Square, unless this could be temporarily removed. The depth of the excavation might also be limited in the case of areas of cellarage. With these provisos, this site may have the potential to support a medium sized excavation. 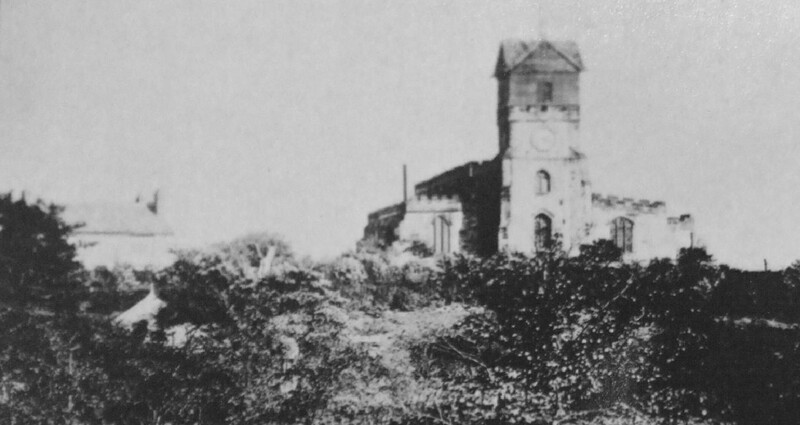 on the south-west side of the parish church, and which includes part of the site of Church House, might be used for workshop training in geophysical survey. This area could also be evaluated by trial trenching to test for archaeological remains. Depending upon the work of such investigations, trenching might also carried out within this area as part of community excavation. 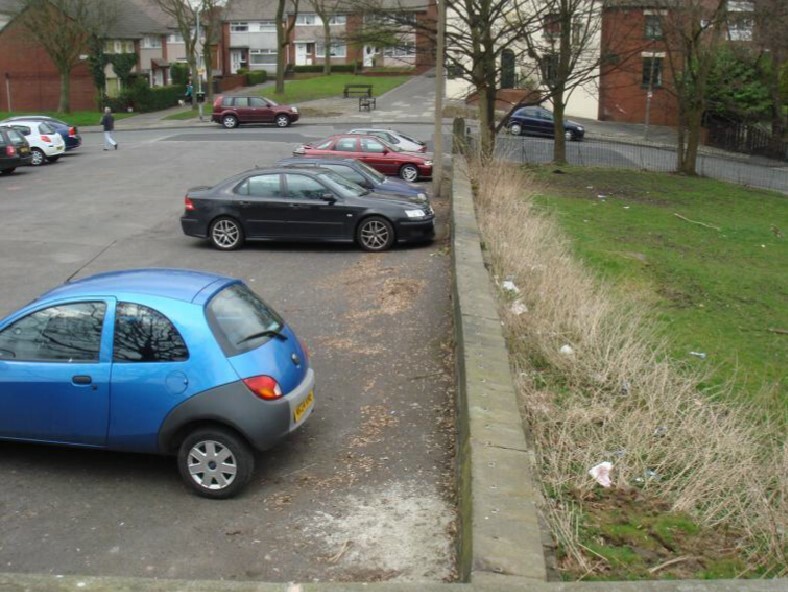 Evaluation would be required to strengthen understanding of the nature and extent of archaeological remains within and adjacent to St Leonard’s Square but there is the potential for sustaining a community excavation. Arrowsmith P 2004 Healey Dell, Rochdale: An Archaeological Desk-based Assessment, unpublished report, University of Manchester Archaeological Unit. Farrer W & Brownbill 1911 Victoria History of the County of Lancaster, vol 5, Constable. Garratt M 1992 Samuel Bamford: Portrait of a Radical, Littleborough, George Kelsall. Hartwell C, Hyde M & Pevsner N 2004 Lancashire: Manchester and the South-East, Yale University Press. Haynes H & Tipper 1994 De Balderston II, privately published. LRO DRM 1/69 Middleton tithe award, 1837. LRO DRM 3/20 Middleton Terriers, 1663, 1664 & 1728. Magee R 1993 Middleton Pubs 1737-1993 and their Licensees, Radcliffe, Neil Richardson. Mottershead G & Arrowsmith P 2006 Healey Dell Nature Reserve, Rochdale: An Archaeological Survey, unpublished report, University of Manchester Archaeological Unit.